A number of key elements come into play when looking for a new place to live. For families, it might be schools and proximity to parks and recreation for the kids. For couples who have become empty nesters, it might be a smaller home close to shopping and other neighbors. For others, it might be cultural or community activities. Depending on your lifestyle, there are many important points to consider when choosing what you want out of a planned community. More and more developers are paying close attention to the needs of their home buyers and are placing more quality amenities into their plans. For many developers they want to create and offer a lifestyle to potential buyers and not simply a new home. Hence they work with professionals from many areas to create planned communities that satisfy a number of folks searching for that lifestyle they can enjoy. Water seems to be growing in popularity for those wishing to move to a planned community. The use of water varies in scope and magnitude. 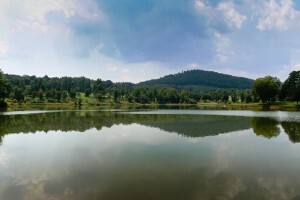 It might be a lake within the community which can be used as a backdrop to hiking, biking and jogging. It can also be used exclusively by boating or with kayak and canoe rentals. Do you enjoy fishing? A stocked lake can also add to your enjoyment. Some developers are even creating beach like waterfronts for members to relish. Water might also come in the form of pools in many shapes, uses and sizes. One pool might be a traditional community pool, while another might be specifically geared toward children. Some have gone as far as to create youth sized competitive pools to house swim teams for kids. Splash parks and water slides add to the detail of some of these, as well. Whether you are a growing family, an empty nester or senior, living a healthy lifestyle plays an integral role in the decision to purchase a new home. Hiking and biking trails are pre-eminent in the minds of many home buying customers. The opportunity to get outside and enjoy the landscape as well as an opportunity to stay fit and active is also an essential point to consider when perusing a community. Not simply biking and hiking trails for the sake of a nice path to ride or walk, but also to take in the beauty of the surrounding area. More developers are becoming environmentally conscious and are putting together communities that are green and sustainable, as well as creating picturesque areas, with detailed landscapes that are pleasing to the eye as well as your bike or hiking shoes. Amenities such as cultural centers, equestrian facilities and trails for those who love horses, golf courses and restaurants are but a few other options available in communities, as well. What was once considered only available at a resort are becoming more a part of planned community concepts, also. Some planners are taking their communities further into the twenty first century by ensuring that the properties are wired for current and future high tech needs. The ability for homeowners to use business centers, for example, or have technology available to operate their security systems, lights and utilities, are gaining interest by those purchasing homes. In addition, many communities add to this by using technology for safety, security and real time staffing needs, as well. Parks are always going to be part of these developments, but you may want something more. Sports facilities, with the availability of tennis courts, softball diamonds and soccer fields can be part of your wish list. It is an opportunity to enjoy an activity by playing within the confines of the community and, consequently, a little closer to home. 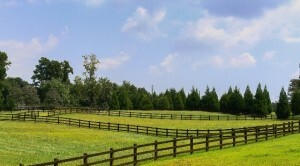 Many qualities are available when it comes to the choice of which planned community is right for you. The key is to develop an outline of the kind of lifestyle you would prefer and follow that to the community that you feel best fits those interests.